Anything between the kernel and user applications is considered middleware. Functionality such as gesture recognition or speech recognition is usually processed by some middleware, and the results are transmitted to user applications. The term is most commonly used for software that enables communication and management of data in distributed applications. An IETF workshop in 2000 defined middleware as "those services found above the transport (i.e., over TCP/IP) layer set of services but below the application environment (i.e., below application-level APIs). In this more specific sense middleware can be described as the dash (“-”) in client-server, or the -to- in peer-to-peer. Middleware includes web servers, application servers, content management systems, and similar tools that support application development and delivery. Distributed computing system middleware can loosely be divided into two categories – those that provide human-time services (such as web request servicing) and those that perform in machine-time. This latter middleware is somewhat standardized through the Service Availability Forum and is commonly used in complex, embedded systems within telecom, defense and aerospace industries. The mer software distribution is a middleware: it lacks the Linux kernel and it also lacks a UI. Mer is targeted at hardware vendors' mobile-oriented operating systems. Multimedia Home Platform (DVB-MHP) is an open middleware system standard designed by the Digital Video Broadcasting (DVB) project for interactive digital television. The MHP enables the reception and execution of interactive, Java-based applications on a television set. Universal Home API, or UHAPI, is an application programming interface (API) for consumer electronics appliances, created by the UHAPI Forum. The objective of UHAPI is to enable standard middleware to run on audio/video streaming platforms via a hardware-independent industry standard API. The Miles Sound System provided a middleware software driver allowing developers to build software that worked with a range of different sound cards, without concerning themselves with the details of each card. Radio-frequency identification software toolkits provide middleware to filter noisy and redundant raw data. ILAND is a service-based middleware dedicated to real-time applications. It offers deterministic reconfiguration support in bounded time. 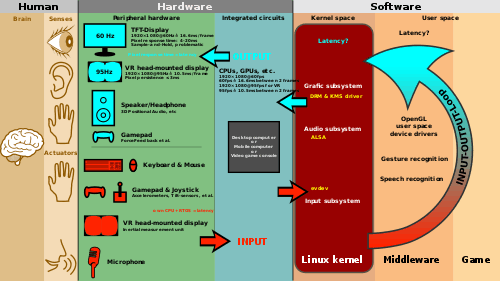 Television, media and set-top-box software often refers to middleware. For instance, OpenTV 5 middleware (sometimes called Connectware) is a Linux and HTML5 distribution for set-top-box including a default TV navigation guide and provides open APIs to tailored TV user experience that can leverage the home cloud, broadcast video and web services for Pay-TV operators. Other examples of Television middleware also known as OTT middleware or IPTV middleware are Mware Solutions. The distinction between operating system and middleware functionality is, to some extent, arbitrary. While core kernel functionality can only be provided by the operating system itself, some functionality previously provided by separately sold middleware is now integrated in operating systems. 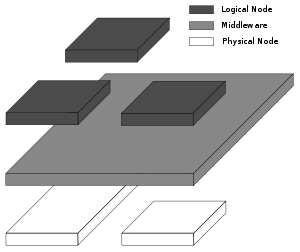 A typical example is the TCP/IP stack for telecommunications, nowadays included in virtually every operating system. At the other end of the scale, the boundary between middleware and application has also moved. Digital TV middleware for example usually provides enough functionality so that no "application" is needed for end-users to be able to use the TV services. Middleware gained popularity in the 1980s as a solution to the problem of how to link newer applications to older legacy systems, although the term had been in use since 1968. 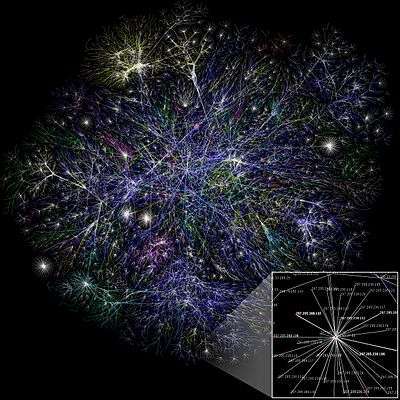 It also facilitated distributed processing, the connection of multiple applications to create a larger application, usually over a network. ↑ Krakowiak, Sacha. "What's middleware?". ObjectWeb.org. Retrieved 2005-05-06.